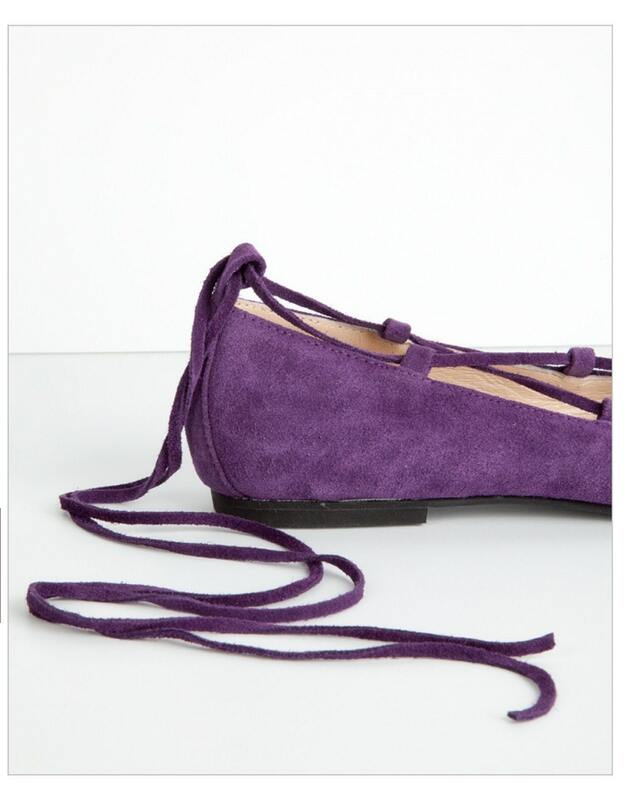 Lace up ballerinas in purple suede . Handmade with genuine leather and anti slipe sole . A great choice for every day and night . You can combine with your jeans for morning look and with your boho dress for evening look. We maybe need 10 days to complete your order ,bacic shipping by Hellenic Post But if you want you can upgrade shipping with our new cooperation Dhl .